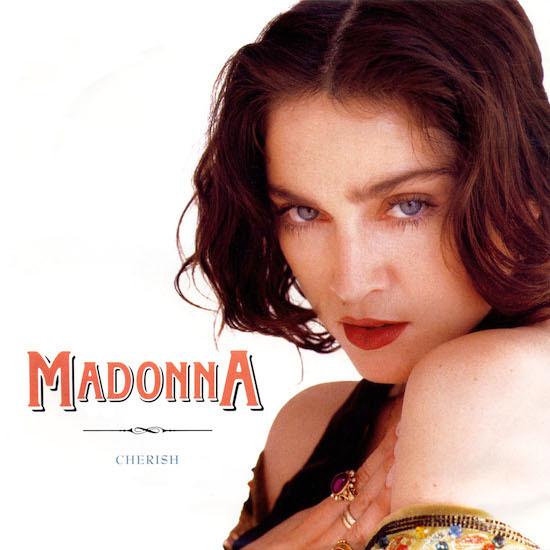 On August 1 1989, the third single from Madonna’s Like a Prayer album, Cherish, was released by Sire Records. The song was written and produced by Madonna an Patrick Leonard. 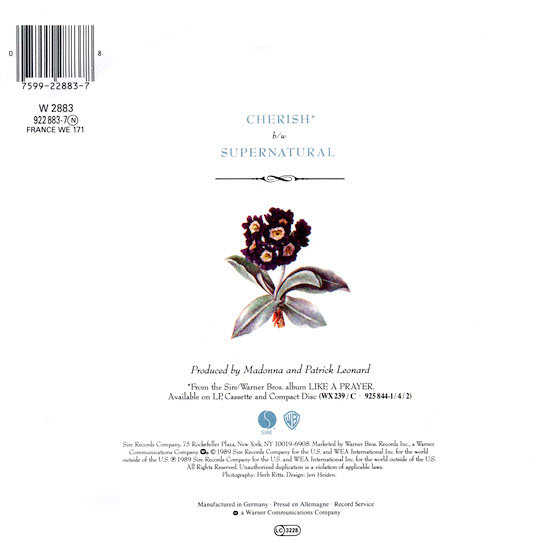 The single was released on 7″, 12″, CD and cassette single formats. 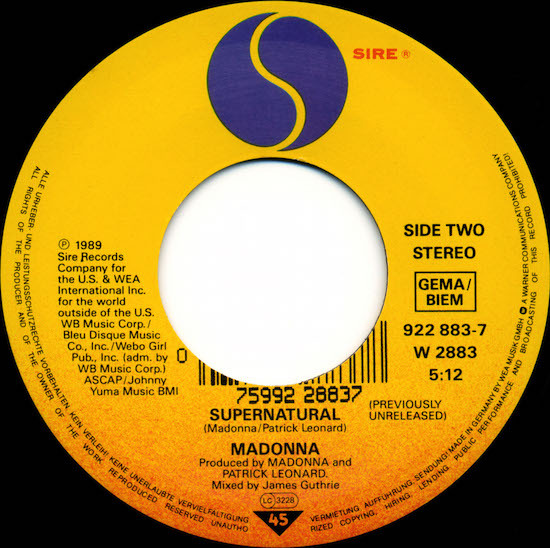 The b-side featured a previously unreleased track, Supernatural.